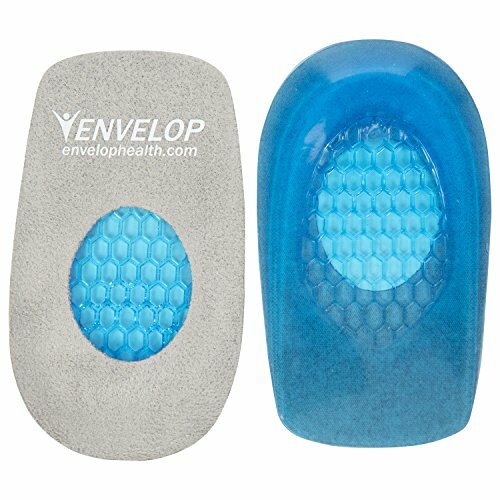 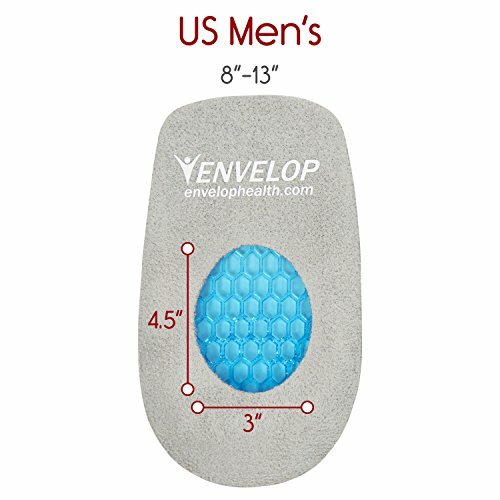 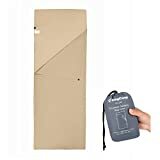 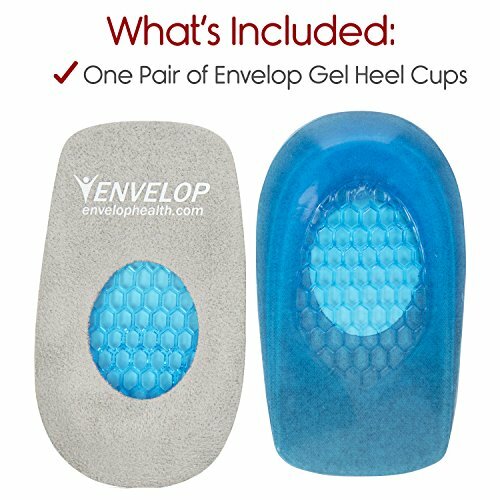 Envelop Gel Heel Cups - Heel Cushion for Women, Men, Bone Spur, Plantar Fasciitis Support - Shoe Inserts Provide Foot Pain Relief for Achilles, Feet Arch, Kids - Silicone Shock Absorbing Protector Pad - KAUF.COM is exciting! 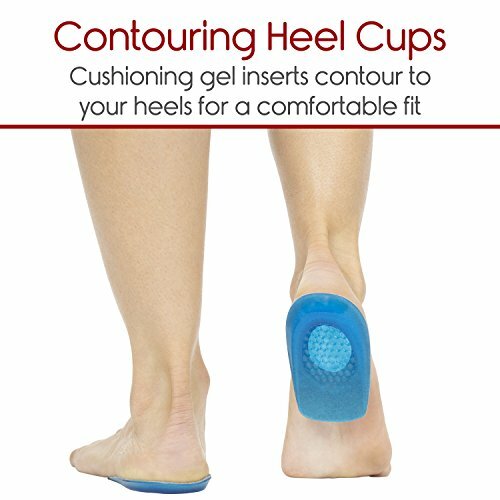 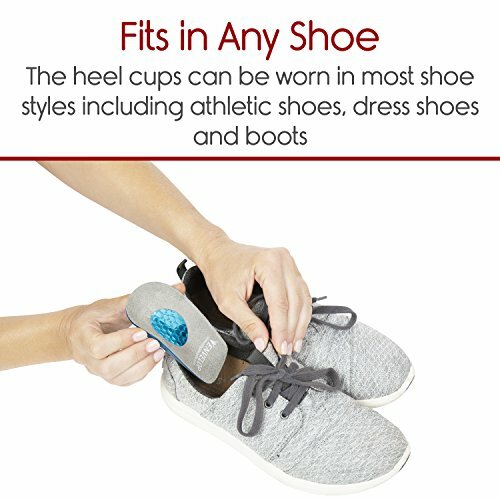 Providing all day comfort, the gel heel cups cushion each step by absorbing shock and redistributing the pressure to relieve heel and foot pain and reduce fatigue.Easily trimmed to fit any shoe, the flexible gel heel cups mold to the shape of the heel for comfortable support in dress, casual and athletic shoes. 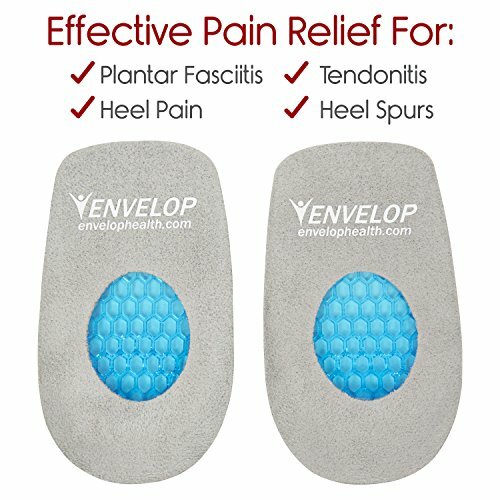 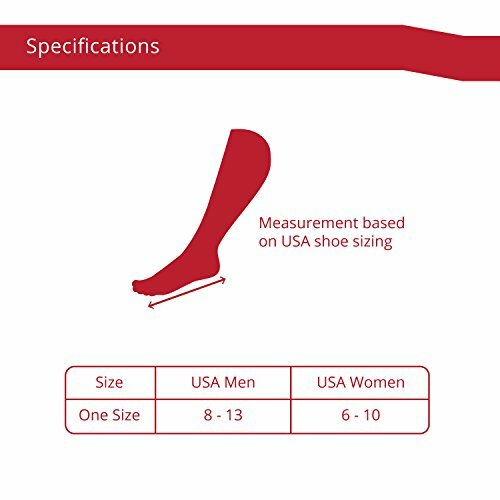 Cushioning and supporting the heel, the heel inserts relieve pain caused by heel spurs, bone spurs and plantar fasciitis. 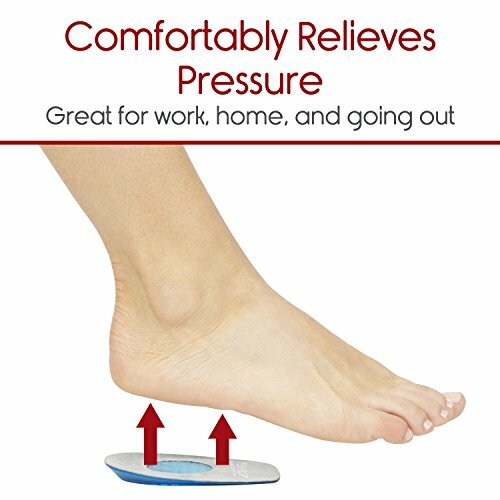 Supplying comfortable support throughout the day, the heel cushions are perfect for those who are on their feet all day and for athletes.